1931 The International Council for Science (ICSU) is founded to promote international scientific activity in the different branches of science and its application for the benefit of humanity. 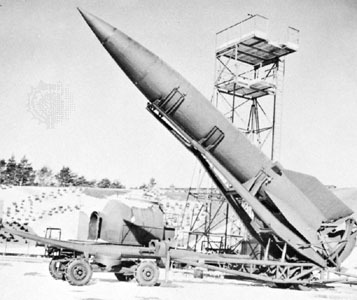 3 October 1942 German V-2 rocket is the first ballistic missile, and the first man-made object launched into space. 1952 ICSU proposes the International Geophysical Year (IGY): a series of global geophysical activities to span the period July 1957 - December 1958. 27 May 1954 Russian Sergei Korolev proposes development of an artificial Earth satellite to Soviet Minister of Defense Industries Dimitrii Ustinov. 29 July 1955 U.S. President Eisenhower's press secretary announces that the U.S. will launch an artificial Earth satellite during the IGY. 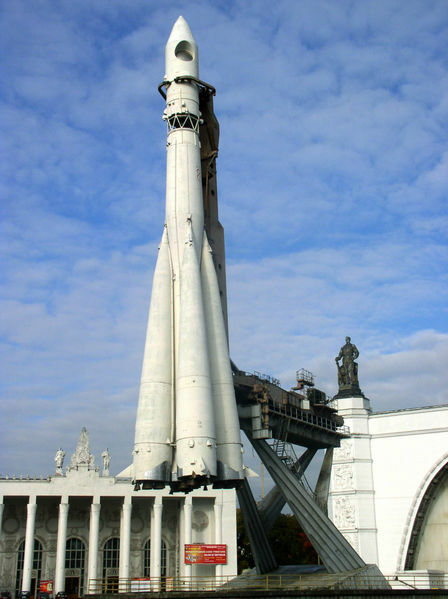 21 August 1957 Soviets launch the R-7 Semyorka, the first intercontinental ballistic missile (ICBM). 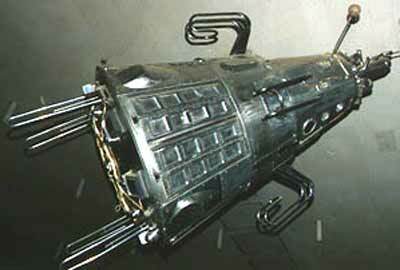 4 October 1957 Soviet satellite Sputnik 1 is launched into space via an R-7 missile. About the size of a basketball, this is the first artificial Earth satellite. It weighs 184 pounds and takes about 98 minutes to complete one orbit. 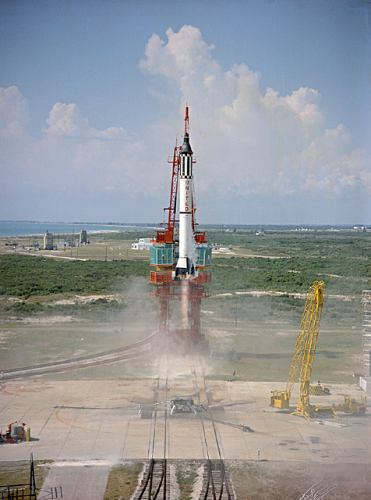 The launch of this satellite sparks the USA/USSR competition known as the "Space Race". 3 November 1957 Sputnik 2 is launched, carrying the first living earth passenger to space, a dog named Laika. Laika perished while achieving orbit, becoming the 1st space casualty. 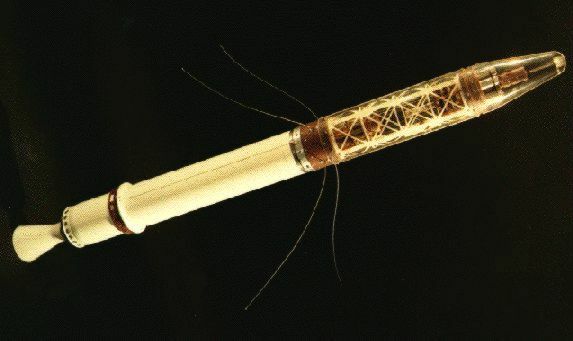 31 January 1958 The first successful U.S. satellite launch puts Explorer 1 into space. 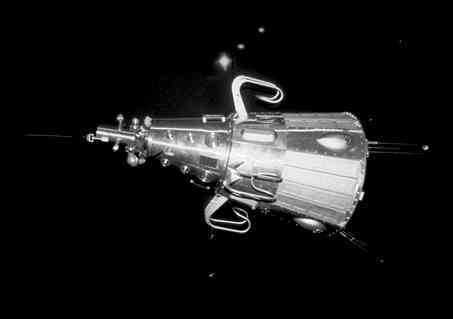 15 May 1958 Sputnik 3 is launched, carrying a large array of instruments for geophysical research. 29 July 1958 U.S. President Eisenhower signs National Aeronautics and Space Act, creating NASA. 18 December 1958 U.S. Project SCORE (Signal Communications Orbit Relay Equipment) is launched on an Atlas rocket. This is the world's first communications satellite, which broadcasts a taped Christmas message from President Eisenhower via shortwave back to Earth. 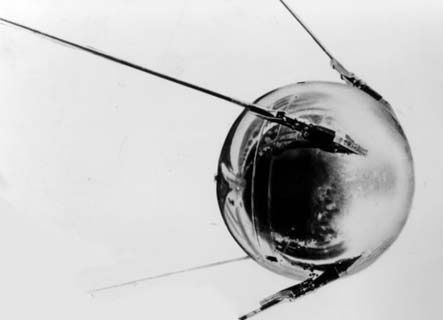 15 May 1960 Sputnik 4 is launched, designed to investigate the means for manned space flight. 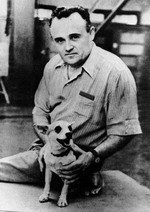 It contained scientific instruments, a television system, and a self-sustaining biological cabin with a "dummy" of a man. The guidance system malfunctioned, and the capsule that should have returned to earth went deeper into orbit. The capsule eventually re-entered the atmosphere 2 years later. There is evidence that suggests that this flight was actually manned by a human. 19 August 1960 Sputnik 5 is launched, carrying 40 mice, 2 rats, the dogs Belka and Strelka, and various plants. All passengers survived the flight, returning to earth the next day. 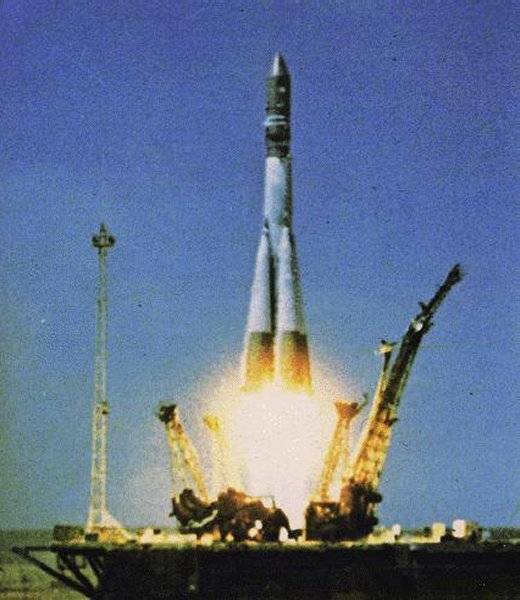 12 April 1961 Soviet Vostok 1 is launched carrying the official first human into space, Yuri A. Gagarin. 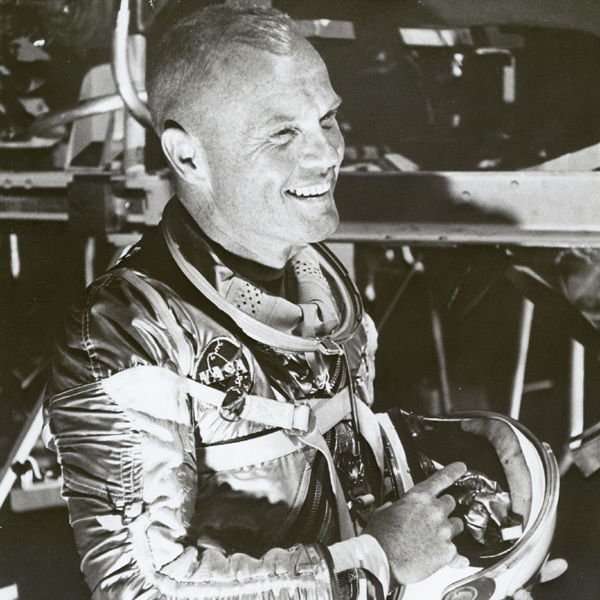 5 May 1961 U.S. Launches Freedom 7 Capsule atop a Mercury-Redstone rocket putting the first American into space, Alan B. Shepard, Jr.
20 February 1962 U.S. Launches Friendship 7 piloted by John Glenn who becomes the first American to orbit the Earth. 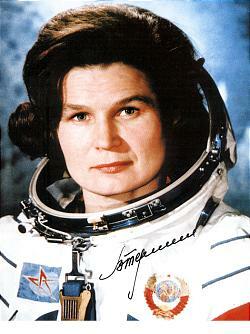 16 June 1963 Soviet Vostok 6 is launched carrying the first woman into space, Valentina Tereshkova. 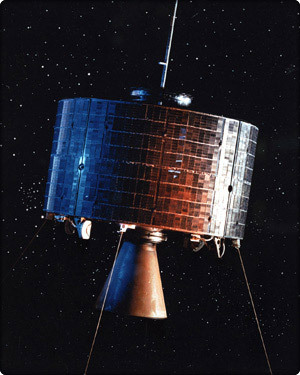 26 July 1963 US launches Syncom-2, the worlds first geosynchronous satellite. 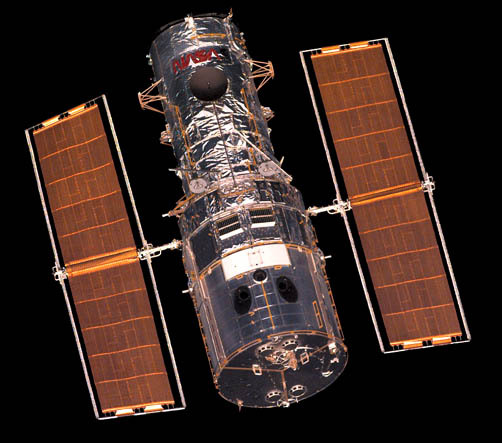 24 April 1990 Hubble Space Telescope is launched. While the telescope is successfully deployed, the primary mirror is seriously flawed resulting in fuzzy images. 18 May 1996 X Prize competition announced: 10 Million dollars to the first person or team to safely launch and land a spacecraft capable of carrying three people to a suborbital altitude or 100km and repeat the trip again within two weeks. This contest is designed to inspire and jump start civilian and commercial space programs. 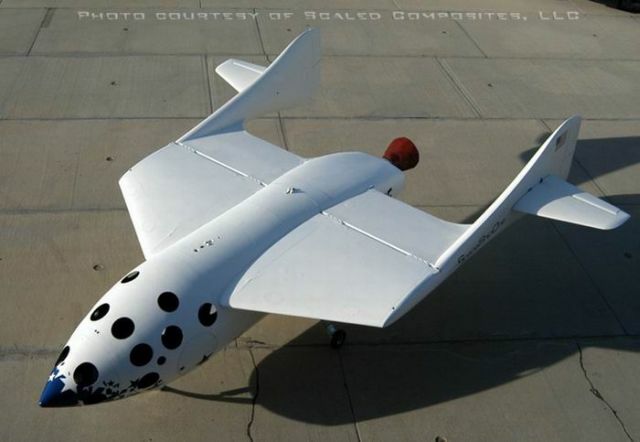 21 June 2004 SpaceShipOne becomes the first privately funded vehicle to carry a human into space. This U.S. licensed ship is piloted by American Mike Melvill.